Depression is a leading cause of disability in the adolescent population throughout the world. Suicide is the second leading cause of death in ages 10-24 in the United States. Depression is often left undiagnosed due to under reporting, lack of resources, and social stigma against mental illnesses. Consequently, the demand for curbing depression and suicide is on the rise globally. The United States Preventive Services Task Force (USPSTF) has found adequate evidence that screening instruments for depression can accurately identify depression in adolescents’ ages 12 to 18 years of age. 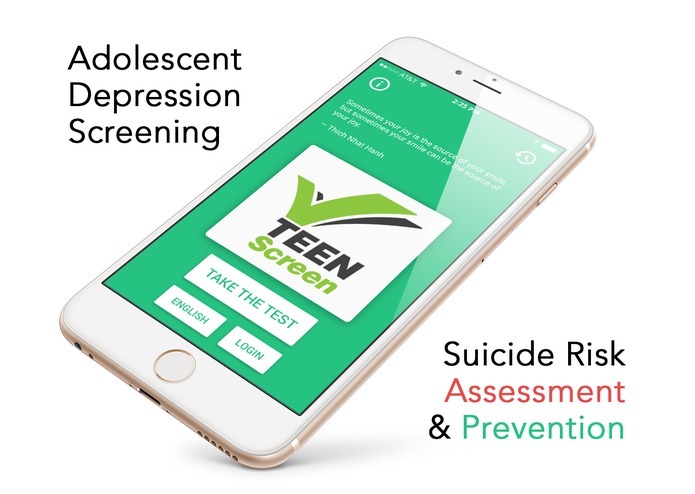 Teen Screen is a mental health screening app for teenagers between the ages of 12 and 18. It takes less than a few minutes to complete and can indicate possible depression and the need to get professional help. 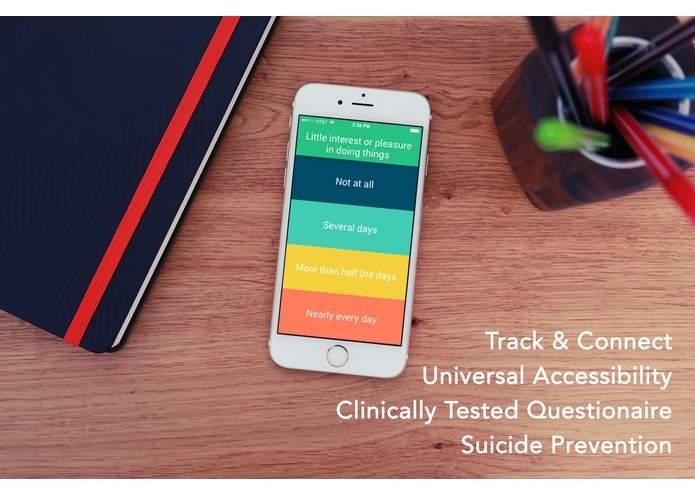 Teen Screen assesses a user's suicide risk and provides tools to seek help. Clinically Tested Patient Questionnaire - Internationally recognized patient questionnaire (PHQ-9) to diagnose, monitor, and measure the severity of depression in adolescents. Medical professionals normally administer the PHQ-9 on paper; however, now the entire process is digitized. It has been shown to have a sensitivity of 89.5% and specificity of 77.5% in diagnosing depression in adolescents. 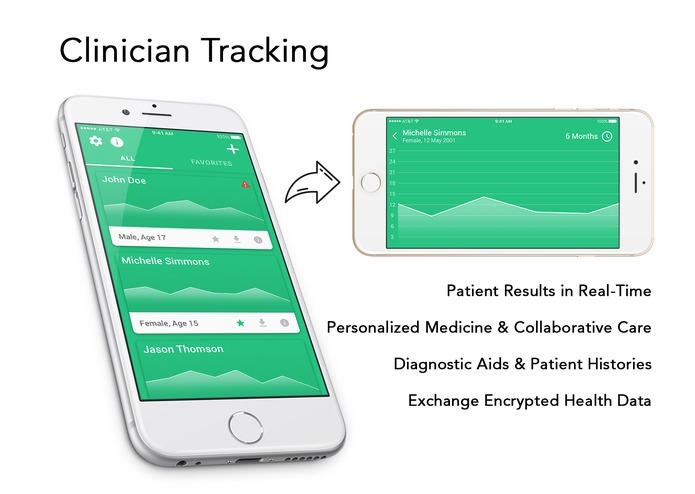 Track Results & Connect - You can track your results over time and also give your doctor access to your patient data. You can be in charge of your healthcare and allow your clinician to make appropriate medical and social interventions. Health data will be stored securely in a universal format (FHIR) to allow for safe and compatible data exchange. Suicide Risk Assessment & Prevention - Specialized questions to assess for suicide risk in adolescents. Following the questionnaire, Teen Screen prompts access to online chat and suicide prevention hotlines around the world. This ensures guaranteed access to assistance when the patient is in their most critical state. Universal Accessibility - Support for 11 languages in a 155 countries. Complete language localization support enables the entire application to be presented in your language of choice, removing barriers on attaining help. Elegant & Functional Design - Uplifting quotes to motivate patients. Convenient access to past results accompanied by an easy-to-read graph. Weekly reminders to promote patient compliance. Teen Screen's Clinician App allows different medical professionals to collaborate on patient care, providing a truly personalized experience. Healthcare providers can use health data to start a dialogue with their patients and establish an important foundation of trust. Ultimately, this initiative in personalized medicine can lessen stigma against mental health illnesses. Patient Results in Real-Time - Clinicians and medical professionals from mental health and primary care settings can access patient data in real-time. Patterns in patient data are easily identifiable so that clinicians can predict patients' onset of depression and suicide risk, allowing them to provide appropriate interventions. Clinicians also have the ability to append supplemental patient data. Simplified & Intuitive Interface - Multi-graph views provide a quick snapshot of patient trends. A detailed graph view is available for each patient for accurate assessment. Easy-to-read identifiers, based on medical algorithms, identify patients with depression, dysthymia, and high-suicide risk. Includes the ability to highlight key patients to provide focused care. 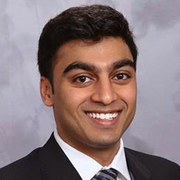 Privacy & Security - Clinicians can exchange patient data through secure FHIR-enabled servers. Encrypted health data can be exported as a PDF or text file for safe record keeping. The patient-screening mobile application is fully functional and built with Swift. The clinician companion mobile application prototype was built with Framer. TestFlight and Framer Prototype links sent to InnovateNYP Staff.